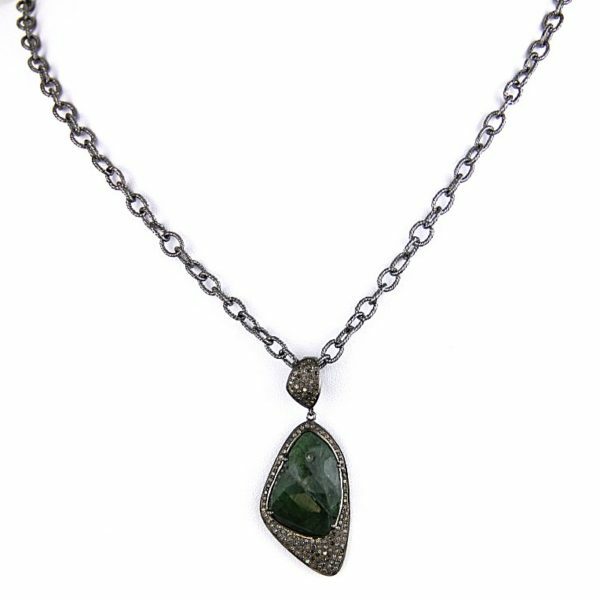 One of a Kind Single Strand Emerald and Diamond Necklace by Safia Day. 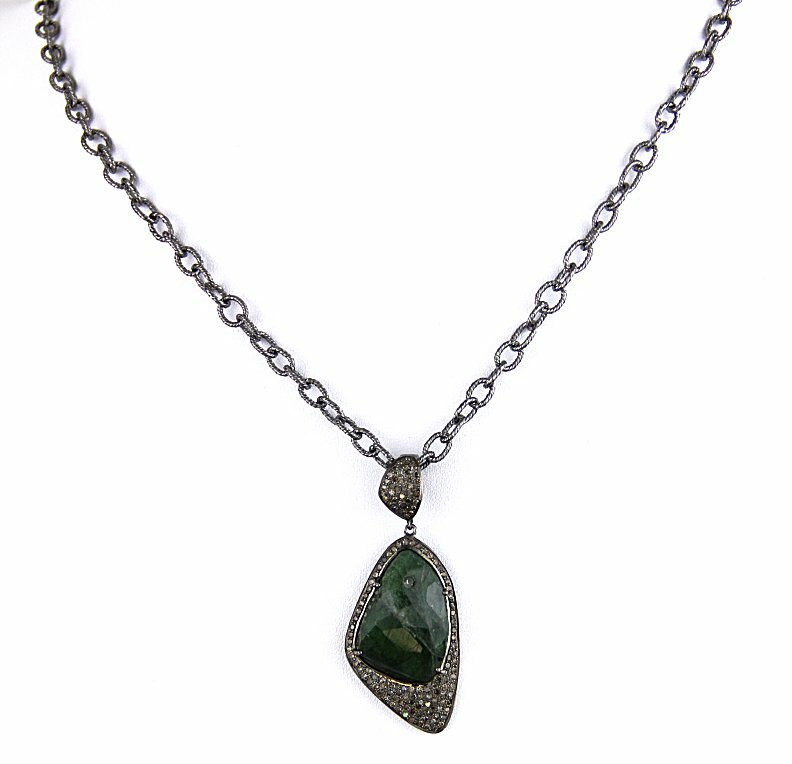 The necklace is adjustable to 36″ at the neck with a diamond encrusted lobster clasp. 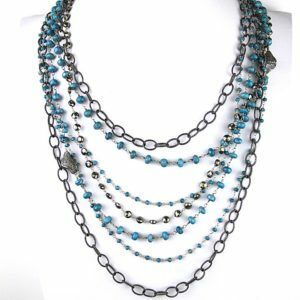 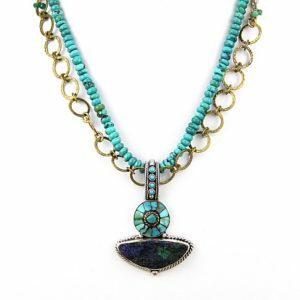 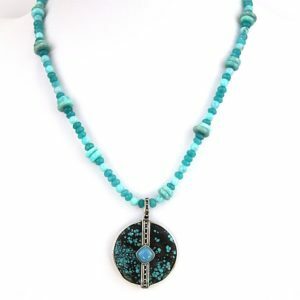 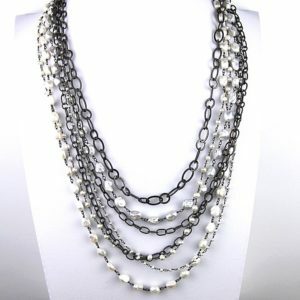 You may make this necklace as short as you like with the versatile clasp. 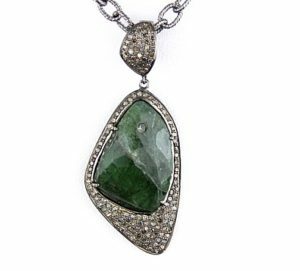 The Removable Diamond and Emerald Pendant is 2″ including the diamond bail.